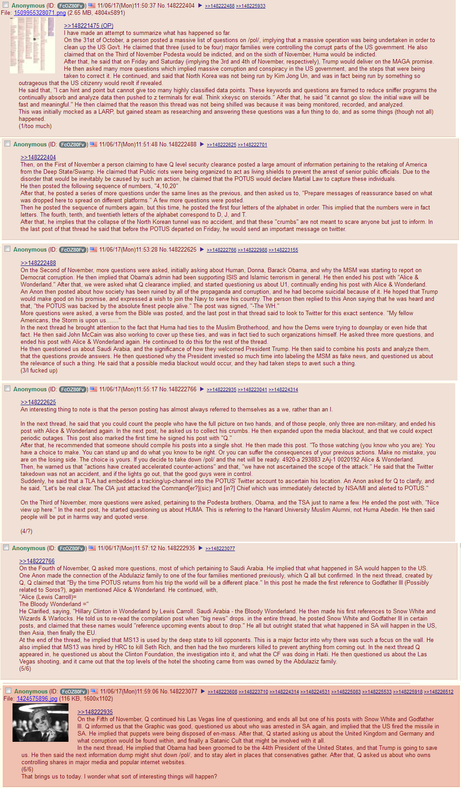 On October 28, someone calling themselves Q began posting a series of cryptic messages in a /pol/ thread titled “Calm Before the Storm” (assumedly in reference to that creepy Trump quote from early October). 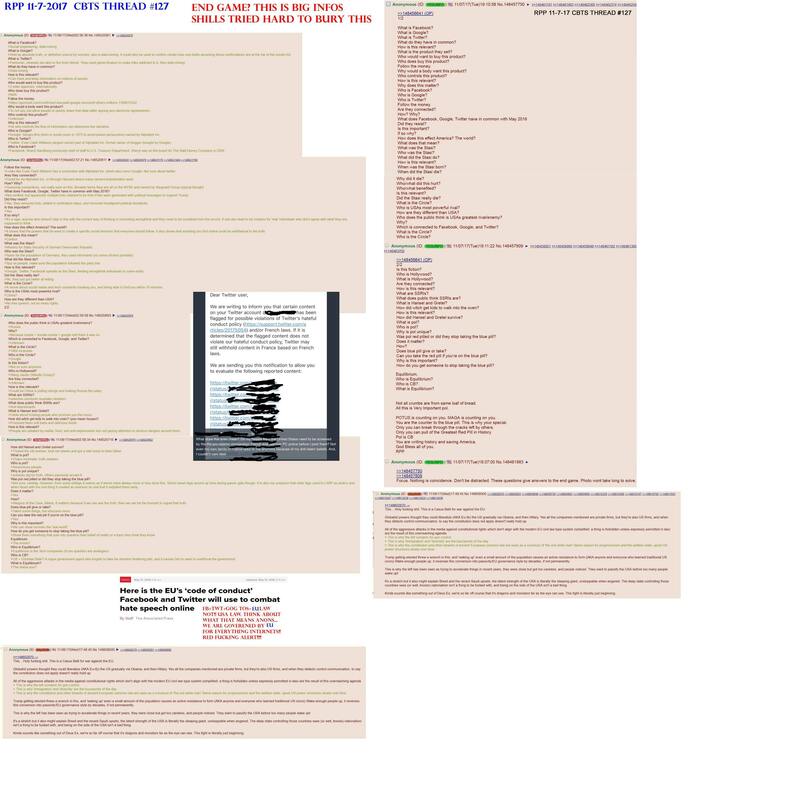 Q claimed to be a high-level government insider with Q clearance (hence the name) tasked with posting intel drops — which he, for some reason, called “crumbs” — straight to 4chan in order to covertly inform the public about POTUS’s master plan to stage a countercoup against members of the deep state. It was, in short, absolutely insane. False leaks have been made to retain several within the confines of the United States to prevent extradition and special operator necessity. Rest assured, the safety and well-being of every man, woman, and child of this country is being exhausted in full. Rest assured, nobody with high-level security clearance writes that poorly. On the other hand, I do see that type of writing in the phishing attempts where someone tries to pretend to be from PayPal or "your administrator." It's very sad that disproving any part of the conspiracy will have no effect on the true believers. We urgently need better basic education in this country, including the basic rules about how one judges the truth of various assertions. The Trouble with Kirsten Gillibrand!